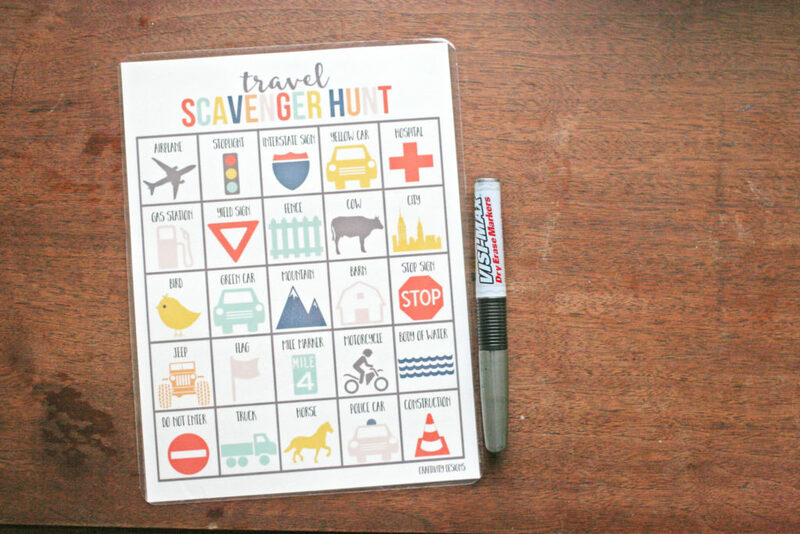 Encourage fun road trips with a free travel scavenger hunt. It can be a family activity, or act as a boredom buster for the kids! Road Trips can be fun… and they can be tough. We’re going to Disney at the end of the summer and I’ve been prepping with plenty of fun activities for the car. 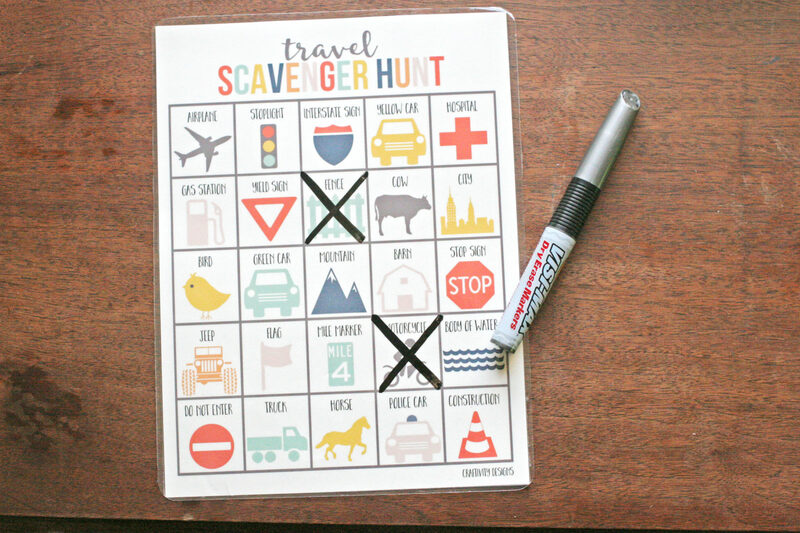 Our Nature Scavenger Hunt has been such a hit, that it only seemed appropriate to follow-up with a Travel Scavenger Hunt, just in time for our big Road Trip! The Travel Scavenger Hunt includes both words and images. 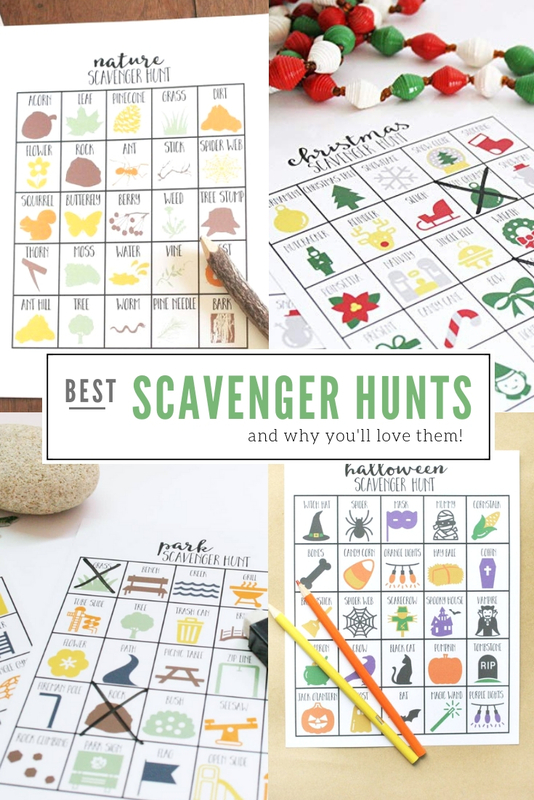 So even if your child isn’t reading yet, they can independently work on the scavenger hunt. They’ll be able to identify pictures instead of reading words. If your child is learning to read, use the word and picture combinations to teach reading skills. Many of the words are simple, and the picture clues will help the child identify the words. Each time an object is found, have the child mark an X over its spot on the grid. They’ll get to see their progress as they mark items off the page. If you’ve got older children, let them compete to see who can mark off the most travel items. I laminated our Road Trip Scavenger Hunt so that we could use it, and re-use it, on multiple trips. Use a dry-erase marker to make it a wipeable game. This activity is great for learning about road trips and travel, but it’s also a good tool for creating family time. When the car is too silent, use the Travel Scavenger Hunt as a conversation starter. Challenge each other to search the city and country settings that you pass on your journey. Teach your children about road signage. Observe the world around you! **For personal use only, not to be resold. I love this idea! I’m pinning for later. My little guy isn’t old enough to use this yet, but I have no doubt it’ll come in handy!